Well-formed typography, Tim Burton-ish illustrations, intricate details, and a touch of steampunk. These are the things that embellish this collection of amazing book designs. I personally picked up my copy of Unnatural Creatures for two main reasons: its stunning book cover and because it contains stories selected by master storyteller himself, Neil Gaiman. Turning over the book, I found that the cover was crafted by Iacopo Bruno of DOT, a graphic design studio based in Milan that specializes in editorial and book design, illustration, typography, and text editing. 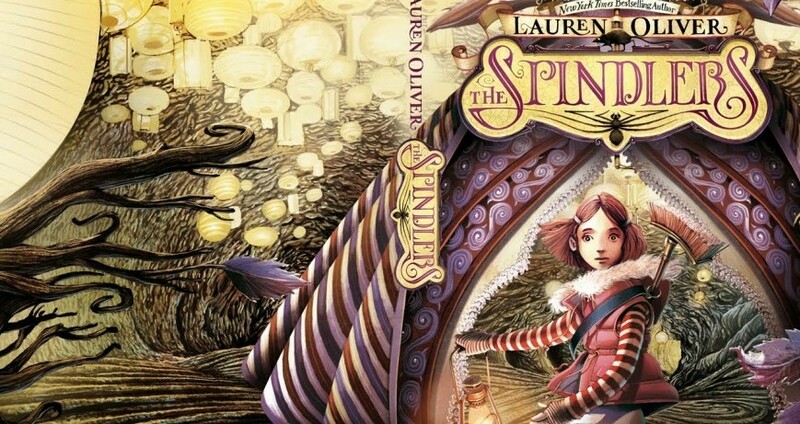 I recently came across a blog spot where Bruno showcases his myriad of book designs and discovered that he’s the designer behind the cover of another book I have – The Spindlers by Lauren Oliver. In the midst of writing this article, a colleague commented that Bruno is a very flexible designer for he has no definite art style. Well, I must say it’s true. Some of the book designs look like they came out of a Tim Burton animation, some are just pure delicate typography or hand lettering, some are shouting with vivid silhouettes, some feature vintage sketches, and some have a touch of steampunk with their intricate details. It was very difficult for me to find out more things about Iacopo Bruno. After a number of Google searches, I finally stumbled upon Zauberspiegel where we’re afforded the opportunity to get to know the artist through an email interview they conducted with him. On what makes the job as an illustrator for books awesome. With more than 300 titles published all featuring his book design, Bruno still feels really excited every time he has to illustrate a new cover. He finds telling stories through images the most fascinating thing about it. On his work as an illustrator. He said he’s an illustrator completely dedicated to books, therefore he’s always in contact with editors who ask him for book designs. He usually creates one or more design studies, and he has the absolute freedom to decide on the subject, the image shot, and—more often than not—on the lettering or the book series logo. On the importance of illustrations for selling books. I can tell you three things which were really important for my education: Jules Verne’s “20000 leagues under the sea”, everything ideated by Tim Burton and “A Christmas Carol” illustrated by Roberto Innocenti. Iacopo Bruno also curates a blog spot where he showcases his sketches. It’s definitely worth checking out!